The‘Within Reach’ series began in 2010 and went on to become an annual feature at Gallerie Nvya. This year it turns 10! Our endeavor has been to bring together emerging, eclectic artists along with established names . The intent is to showcase innovative, unconventional, new media & installation art; with the underlying emphasis being on good art. One of our objectives is to encourage young and /new collectors to start building their personal or corporate collections. The prices are attainable and ‘within reach’; the repertoire is varied and the choices are multiple. All these factors contribute in making ‘Within Reach’ amongst the most awaited events. It's been a fulfilling ten years with ‘Within Reach’. 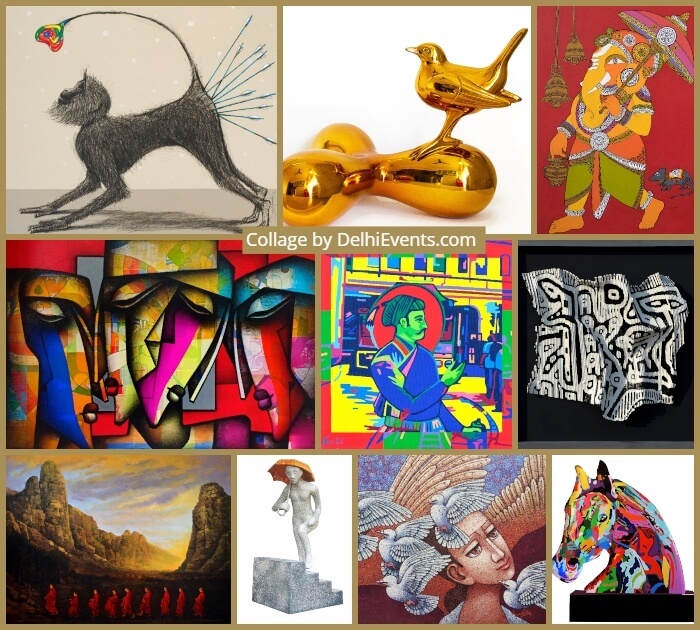 We have introduced at least 50 new artists and a wide range of art work to our collectors. My desire for this year is to showcase more than 100 artworks and to continue providing upcoming artists with a suitable platform. ‘Within Reach’ is our tribute to the courage that creativity entails! From figurative to abstract, from traditional to avant-garde, the exhibition presents a wide range of art brought by various artists making it accessible and appealing in nature to suit homes as well corporate offices. The core mission of the show is to make art accesible for everyone. Started in year 2010, each show has developed its own distinct character and offers a wide range to suit all tastes and styles. The only thing that remains constant about the exhibition is the emphasis on accessibilty and innovation.